All rooms are sea front with a wonderful sea view. 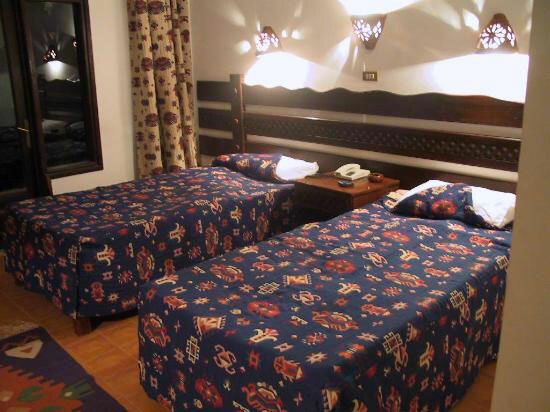 The rooms boast a traditional interior which includes locally made tapestries and rugs. 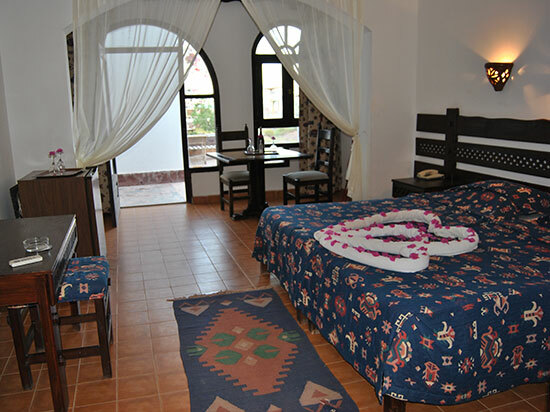 Each air-conditioned room has a private balcony fitted with cosy rattan furniture. Featuring a balcony or a terrace overlooking the sea, this spacious room comes with a minibar and a private bathroom. Your stay at the Daniela Hotel can be combined with diving with our Diving Center in a Sleep & Dive package. For diving with our Diving Center without staying at the Daniela Hotel you can contact us for questions, enquiries and bookings and check our options and pricelist below.